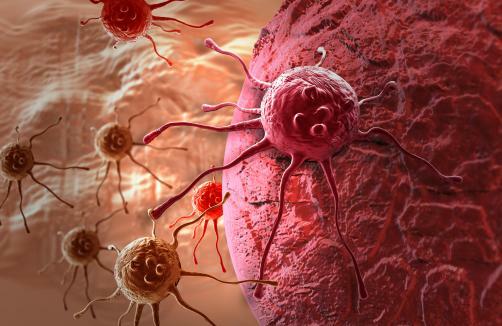 Researchers at the Wellcome Sanger Institute and Open Targets have been able to identify thousands of genes which play a fundamental role in the survival of 30 different cancers. Using gene editing tool CRISPR, the researchers picked apart every gene in 300 cancer models from 30 types of cancer. The findings allowed the team to then prioritise and rank 600 drug targets that show the most promise as cancer treatments in the future. The research, which was published in Nature, brings cancer researchers a step closer to creating a ‘Cancer Dependency Map’ – a map of the mutations that cause cancer cells to grow. In building the map, the team used CRIPR to disrupt nearly 20,000 genes, in order to discover which genes are fundamental for cancer’s survival. The researchers focused on common cancers such as lung, colon and breast cancer, as well as cancers in which there is high unmet need, such as lung, ovarian and pancreatic cancers. From a longer list of thousands of genes, the team then created a shortlist of 600 genes that showed the most promise for drug development in the future. Currently, 90% of drugs fail during development. It is hoped the research will increase precision and improve the rate at which new candidates pass through clinical trials.